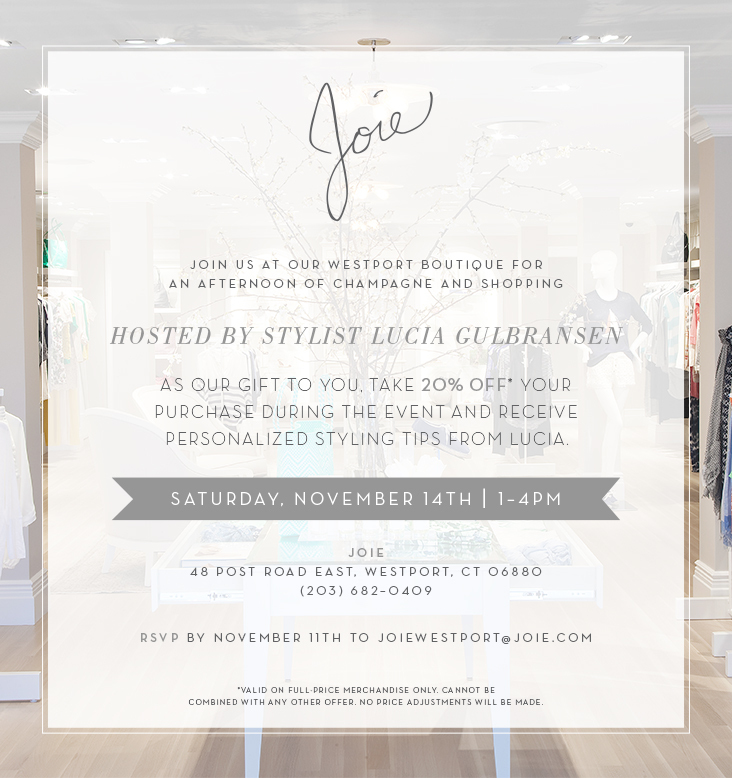 Please join me at the Joie Store in Westport, CT, on November 14th from 1:00 – 4:00 p.m. for some styling tips and champagne. This is also a great opportunity to add some key fall/winter pieces to your wardrobe and get your holiday outfit! Previous Post What’s your 4th of July look?